Getting Smart CEO Tom Vander Ark was influenced by the work of the Coalition of Essential Schools (CES) and the work of Ted Sizer when he worked at the Bill & Melinda Gates Foundation. Buck Institute for Education (BIE) editor John Larmer attended the final Fall Forum for the CES in early December and shares his reflections on their work here—including how the work carries forward. I just got back from Providence, Rhode Island, where the final Fall Forum of the Coalition of Essential Schools (CES) took place Dec. 1-3, 2016. It was a bittersweet occasion. Many of the ideas proposed by educator Ted Sizer, who founded CES in 1984 along with Deborah Meier, Dennis Littky and others, became widely influential in progressive education—and these ideas connect to our work today in the growing world of Project-Based Learning. The 32-year-old organization that started so much is now folding its tent, but the caravan moves on. Early in my education career when I taught high school, I read Sizer’s seminal book Horace’s Compromise and it rocked my world. Soon I became a founding teacher of the first school in Northern California to join the Coalition in 1991—Oceana High School in Pacifica, just south of San Francisco. We designed a small school (400 students, grades 9-12) that featured Project-Based Learning, interdisciplinary team-teaching, block scheduling, site-based management, service learning and much more. It was a long list of goals for “restructuring” and “whole-school change” as we called it then. I created a Senior Exhibition that is still a feature of the school. All of these ideas connected to the 9 Common Principles of CES (a 10th was added later; more on that below). I vividly remember the day when Ted Sizer walked into my classroom at Oceana, with a small entourage accompanied by our principal. He was visiting west coast CES schools. I was teaching twelfth-grade U.S. Government and in the middle of a rather didactic lesson. As I saw him enter thought, “I can’t be lecturing in front of Ted Sizer!” I quickly switched gears and asked my students to get in teams and discuss something or other. This allowed Ted to meet some students, which he loved to do, as shown in the old photograph below (note the skinny guy with the thinning-but-still-brown hair, looking on proudly and a little nervously). It was also the Coalition that took me out of the classroom—a common phenomenon when organizations work with teachers and schools. I became the Bay Area CES School Coach after getting trained in the Citibank-Coalition National Faculty program, putting me on a path that led to the Buck Institute for Education. The Coalition began after the hugely influential A Nation at Risk report by President Reagan’s National Commission on Excellence in Education, which called for dramatic changes in our education system. Along with that report came Horace’s Compromise, plus The Shopping Mall High School by Arthur G. Powell, Eleanor Farrar and David K. Cohen, both of which made a profound and lasting impression on those of us connected to high schools. Ted later published Horace’s School, which remains a visionary blueprint for what American high schools ought to be (add modern technology to the picture and it still holds true today, in my opinion.) In 1997 he authored Horace’s Hope, which pointed out hopeful signs of change in U.S. schools (which to some extent, unfortunately, “went underground” during the No Child Left Behind era). In Horace’s Compromise, a high school teacher confronts structural barriers in his school and industrial-age ideas about the purpose of education which force him to compromise on what he knows is best for kids. Among these are a student load of 150+ per day; 50-minute class periods; strictly separated subject areas; pressure to “cover content” and tests that emphasized regurgitation of information. Still sounds all too familiar, eh? Many of today’s progressive education organizations owe a debt to CES and Ted Sizer, whether because of its intellectual influence or because their leaders were at one point connected to CES. Sizer and CES also heavily influenced the Gates Foundation’s first eight years. While formulating the Gates agenda, Tom Vander Ark visited Sizer at Francis Parker Charter Essential School and Dennis Littky at the Met in Providence. That led to support for CES, Big Picture Learning, EL Education, Edvisions, Envision Schools, High Tech High, New Tech Network and Asia Society—all members of the Deeper Learning network now supported by the Hewlett Foundation. Along with BIE, other CES-influenced organizations include What Kids Can Do, Great Schools Partnership, Center for Secondary School Redesign, National School Reform Faculty, Annenberg Institute for School Reform and the National Equity Project. Quite an impressive list. Another big idea CES and Sizer promoted was that schools should be smaller, in order to achieve the goal of personalization. In addition to new models for high schools that only served a few hundred students, this idea contributed to the rise of small learning communities and school academies. Two other connections between CES, progressive education, and BIE are worth pointing out. First, the late, great Grant Wiggins was a thought leader working for the Coalition in the late 1980s, before he and Jay McTighe founded Understanding by Design. His work on the concept of “essential questions” lasts to this day and influenced BIE’s thinking about “driving questions” in PBL. Second, CES research director Joe McDonald in the early 1990s developed the “tuning protocol” for critique and revision of a piece of teacher or student work. I remember being one of four or five people at a poorly attended session at the CES Fall Forum in 1991, when Joe first introduced the protocol and we tried this new idea of giving “warm & cool” feedback. But he planted a seed, and its use grew from there to California’s network of restructuring schools and a bit later to the National School Reform Faculty. 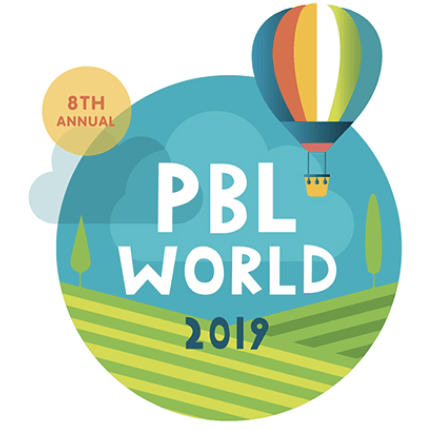 BIE has been using the tuning protocol for many years in our PBL 101 workshop to generate peer feedback on a project’s design, and the practice has been adopted by our partner schools and districts. One final note: in the late 1990s under the leadership of the executive director who followed Ted Sizer in that role—my friend Amy Gerstein—CES added a 10th Common Principle: Democracy and Equity. This propelled the organization into new directions that inspired many educators focused on equity issues in education, which the Buck Institute for Education is also emphasizing in its new five-year strategic plan. After CES decentralized into regional centers in the late 1990s and early 2000s and Ted Sizer died in 2009, the national organization’s role diminished. However, CES today still has hundreds of schools in its network. Many of them are going strong on their own, and some are linked to regional centers, but others are without a mothership. The Buck Institute plans to move in the direction of creating a nationwide community of schools using PBL, so perhaps some CES schools will find their way into our orbit, where they would be welcomed. The CES website has resources for putting the Common Principles into action, and the archive of its newsletter Horace is a trove of information and wisdom. But most of its legacy lies in its member schools, which are listed on its site and would be inspiring places to visit for people looking for a vision of what school can be. I cannot say “RIP CES” because the people it touched are not resting and will not be at peace because there is still too much work to do to reach Ted Sizer’s vision. Onward! This article originally published on the Buck Institute for Education’s blog.